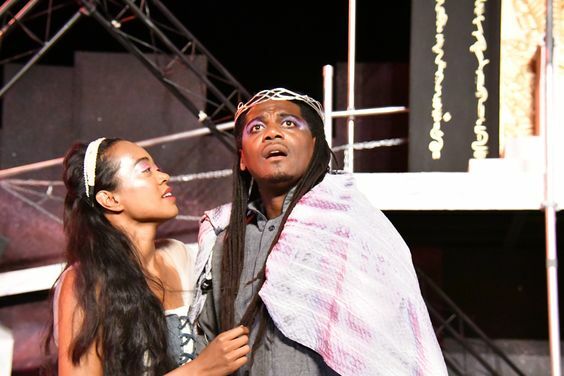 Marin Shakespeare Company’s “Pericles” features Dameion Brown in the title role, with Eliza Bolvin as his daughter, Marina. Photo Credit: Jay Yamada. “Pericles, Prince of Tyre” is generally considered to be one of Shakespeare’s least successful plays; so much so that some scholars wonder if he wrote it at all. The famous “First Folio” of Shakespeare’s plays (selected and published by his acting company shortly after his death) did not include “Pericles,” and most modern scholars believe that it is mostly written by another hand (most likely Elizabethan ne’er do well George Wilkins), with Shakespeare contributing only the final acts. Written by Shakespeare or not, the play’s bizarre and convoluted plot, often played largely for laughs, does have appeal and “Pericles” has always enjoyed some popularity, even though it is less often produced then the rest of the canon. Which brings us to Lesley Schisgall Currier’s uneven, but entertaining, version presented by Marin Shakespeare Company, and starring the always-surprising Dameion Brown in the titular role. Currier tells us, in a program note, that she chose to produce the play partly because Brown’s own convoluted back story rivals that of Pericles himself. Brown served many years of a life sentence in San Quentin before developing his acting talent in a prison production of Hamlet , then acting professionally after achieveing parole, making his impressive debut, incredibly, as Othello, for which he received a “best performance by an actor” nomination from the San Francisco Bay Area Theatre Critics Circle. In spite of perfectly horrendous behavior by many, tragic deaths, and evil connivances, the opening acts of Pericles are, successfully, played for laughs. Brown and the rest of the company do this very well. Especially entertaining is the play’s narrator, Gower, played by Diane Wasnak. Wasnak’s lengthy resume includes clowning with both the Pickle Family Circus and Cirque de Soleil and she makes sure that the audience laughs. The funniest sequence, by far, features Rod Gnapp as a very filthy bard seeking to attract new talent to the whorehouse, and to sell the favors of an imprisoned virgin who just happens to be Pericles’s daughter who had been presumed dead. And if that sounds disturbing, well, it is. You might well wonder if such material is the best choice for slapstick in the era of #me too, but it is what it is. If you are willing to set such concerns aside, it’s fun to watch. The final act, in which Pericles is reunited with his wife and daughter, both of whom he believed to be dead, is certainly Shakespearean. After hours of lesser poetry, the language suddenly soars unmistakably in the style of the Bard of Avon. In the last moments, we are suddenly astounded by a depth of emotion from Pericles, and it is easy to see why the company thought this would be a great showcase for Dameion Brown. It is. Most of the cast play multiple roles, often involving a great deal of clowning, and they are very amusing. This “Pericles” is by no means a first-rate Shakespearean production, but there are enough funny and dramatic high points to make it worth a visit. “Pericles” plays through August 5, 2018, at the Foreast Medows Amphitheatre at Dominican College in San Rafael. For further information, click here. “Pericles” by William Shakespeare. Produced by Marin Shakespeare Company. Director: Lesley Schisgall Currier. Fight Director: Richard Pallaziol. Lighting Designer: April George. Properties and Set Decor: Joel Eis. Set Designer: JacksonCurrier. Sound Designer/Composer: Clint Bajakian. Gower: Diane Wasnak. Pericles: Dameion Brown. Marina and other roles: Eliza Boivin. Lysimachus and other roles: Jackson Currier. Helicanus, Boult, and other roles: Rod Gnapp. Antiochus and other roles: Nick Mandracchia. Cleon and other roles: Richard Pallaziol. Dionyza, Queen Simonides, and other roles: Cathleen Riddley. Thaisa, Bawd, and other roles: Kathryn Smith-McGlynn. Escanes, Cerimon, and other roles: Elena Wright. Additional ensemble: Grace Brunson, Kate Delong, Shelby Fenn, Maxwill Hauser, Maxwell Jaeger, Dale Leonheart, Julia Hewitt, Oliver Rubey, Lana Spring. 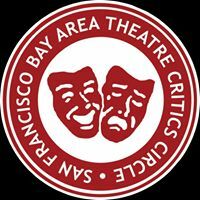 Posted in Reviews.Tagged Charles Kruger, Dameion Brown, Diane Wasnak, Lesley Schisgall Currie, Marin Shakespeare Company, Pericles, Rod Gnapp, theatrestorm.